Layout - 1 Day to a Page with 1 hour 7 am - 6 pm appointments. 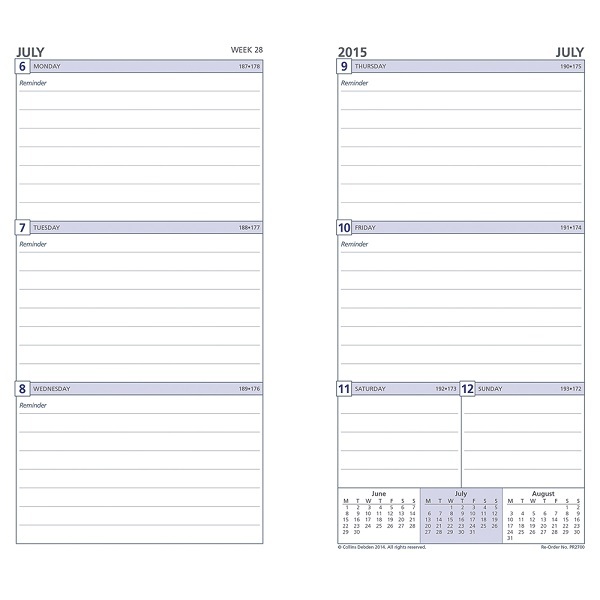 6 Hole Punched to fit DayPlanner®, Filofax®, Day-Timer® and DayRunner® systems. Layout - 1 Month to View. Personal Edition Size A - Z Tabs. 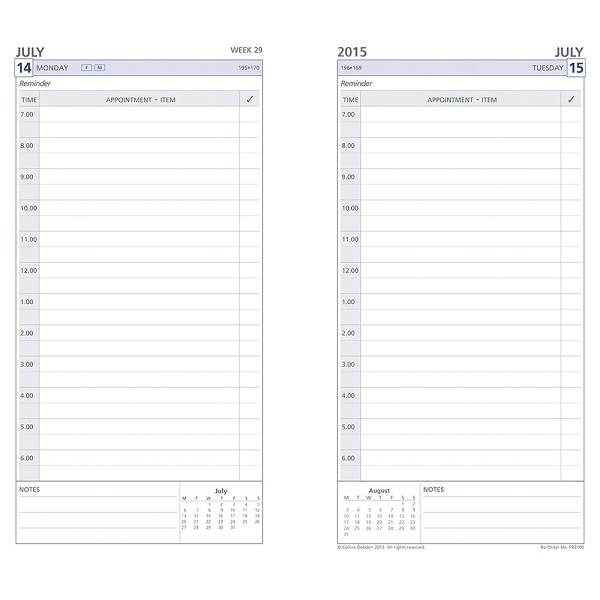 Personal Edition Size Telephone / Address refill. Personal Edition Size Finances refill. Personal Edition Size Credit Card / Business Card Holder. 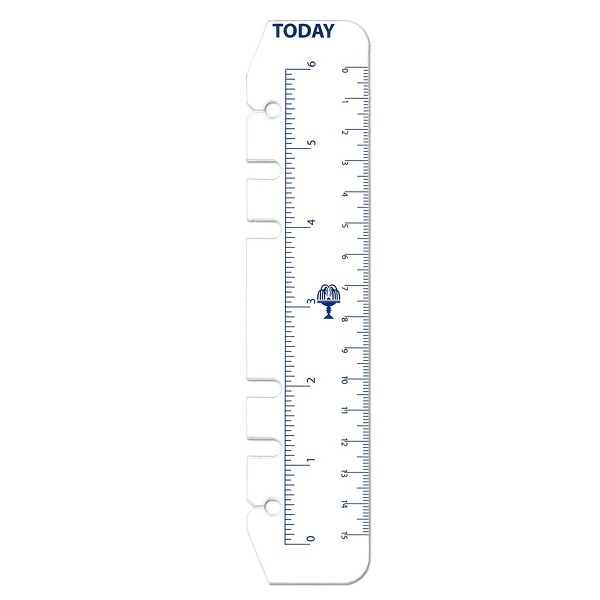 Personal Edition Size Today Ruler. 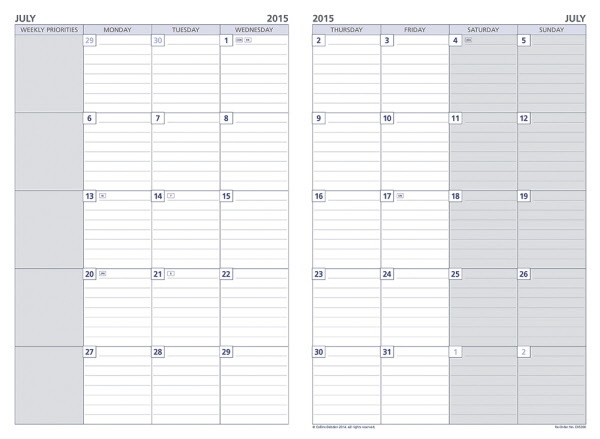 Personal Edition Size Jan - Dec Tabs. Personal Edition Size Calculator Ruler. Personal Edition Size Multicoloured Notepads - yellow, pink, blue and white.